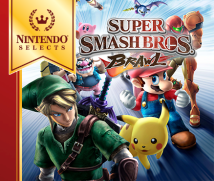 First off, why don’t we talk about how Super Smash Bros. Brawl got started? I believe it was at E3, right? E3 is an international gaming event and I myself was at the E3 in May of 2005 to give a presentation about the Wii console. At the time, Wii was still being referred to by its code name “Revolution” and Nintendo revealed the exterior design of this new gaming console as well as the fact that it would include Wi-Fi support. Before the presentation, we polled a large number of people on what Nintendo titles they hoped to see made available for network play and many put Smash Bros. at the top of their list. All the employees from Nintendo of America that were involved with E3 at the time strongly wanted to announce a new Super Smash Bros. that would be compatible with Wi-Fi play. But at the time, we still hadn’t discussed this thoroughly with HAL Laboratory yet, which shared the rights to Smash Bros. with Nintendo, and we hadn’t even begun planning out the production process. So I announced this subject, emphasizing that I was hoping that a Smash Bros. game would be released as a Wi-Fi compatible title. However, most people from Japan that were in the conference room took this as an official announcement that Nintendo was going to release a new Smash Bros. Looking back at it now, I do regret the way I said this; you can’t blame them for interpreting it that way. Naturally, it was a splash of cold water for you. Absolutely. (laughs) You can imagine my surprise when I was told by the others at the E3 show site that you made the announcement out of the blue. 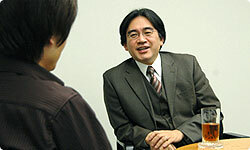 I even heard that the people around you at E3 were asking you whether or not you would develop the Smash Bros. game. Yeah, it was rough. (laughs) I had no idea what to say. So, during that E3, I invited you to my hotel room and told you what I was hoping to do. That was the start of the project, there wasn’t any specifications set, nor was there any framework. Well, I had considered what I would do if you turned me down and decided that I would need to take the existing Smash Bros. title, Super Smash Bros. Melee for Nintendo GameCube, and try to make it Wi-Fi capable while preserving as much balanced gameplay as possible in the event you didn’t want to get involved. Maybe it’s more appropriate to say that I realised we wouldn’t be able to add any new elements to the game without your help and I think I said as much when we discussed it at the hotel. It wasn’t right, but you might even say I used it as a threat of sorts. It certainly had the desired impact! Actually, I was a freelance game developer at the time and had planned to use the E3 as a means to gather information on the newest hardware and software and figure out what I would work on next. And then I met up with you. I had some other job requests already and had a hard time making up my mind. In the end though, I decided there were no other jobs with the potential to make people as happy as the Smash Bros. project would. After all, it was already clear that lots of people were looking forward to it. So, I decided to accept the project. Or, accepted that I had no choice but to take it. For which I’m thankful. Even so, we weren’t ready for development.